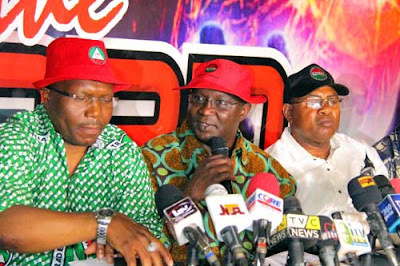 The Nigeria Labour Congress (NLC) has lamented the delay in the passage of the 2018 nation’s budget by the National Assembly. "This is a budget for 2018 which ought to have started on Jan. 1, 2018. We are in April, already into the second quarter and the budget is still not passed so, we cannot even say definitely when it will be passed. “The budget is supposed to among other things show the direction of the economic policies for the year, which will then influence the economic planning by economic agents, both in the private and the public sector. “Because in the economy, people response to the economy of the budget, so if by the beginning of the second quarter, we still have not had the budget passed, it means that they are having economic function without direction. “This does not help the economic performance of the country and I think it is rather sad. “Whatsoever, whosoever that are responsible for the delay, I think they have to be called to order in the interest of the country and the budget needs to be passed." He said that the budget circle in place would also encourage the growth of the economy and allow the people to plan economically ahead of time. Ozo-Eson also added that the delay in the passage of the budget will affect the effective performance of the budget. “Because by the time the budget is now passed either in May or June or whenever, the implementation will then roll over to the next year and this does not allow for smooth execution. “Therefore, poor budget performance is the outcome of this type of situation,” he added.